Our March Project Fun event was Craft Night at Traveler’s Lantern Market & Café. 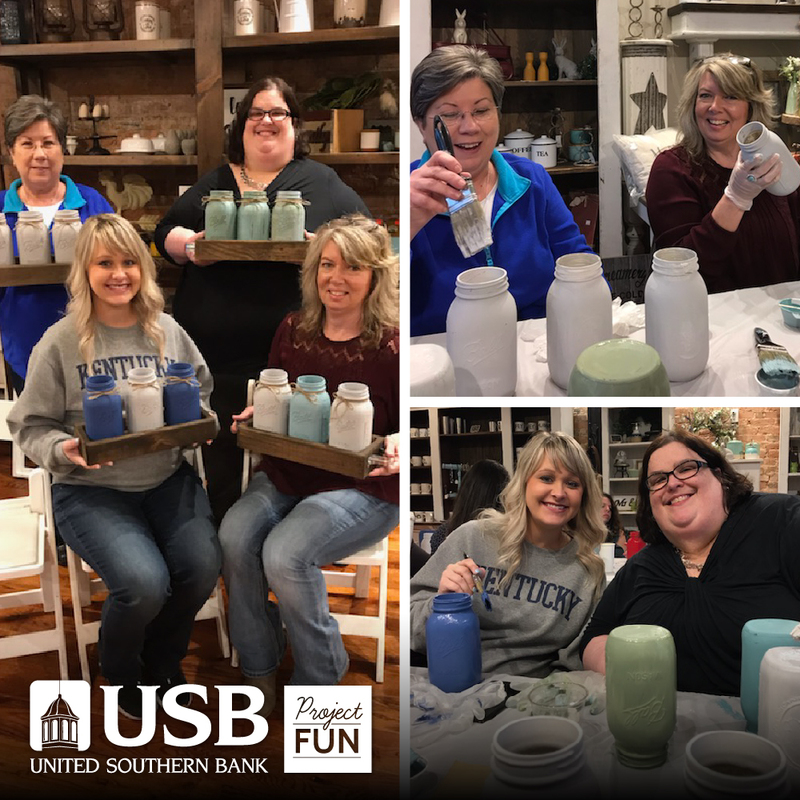 Employees had lots of laughs while painting jars and crates for their home. Everyone had a wonderful time, check back soon to see what we do for April’s Project Fun event!